The British Expeditionary Force arrived in France on 14th August, 1914. On the way to meet the French Army at Charleroi, the 70,000 strong BEF met the advancing German Army at Mons. The British Commander Sir John French, deployed the British infantry corps, under the leadership of General Horace Smith-Dorrien, east and west of Mons on a 40km front. General Edmund Allenby and the cavalry division was kept in reserve. On 26th August, 1914, General Horace Smith-Dorrien, ordered the British Expeditionary Force to turn and engage the German Army at Le Cateau. The BEF managed to inflict heavy casualties on the advancing troops and were able to delay the implementation of the Schlieffen Plan. However, BEF also had significant losses with 7,812 of all ranks, killed, wounded and missing out of the 40,000 men who took part in the battle. That evening, General John French ordered the retreat to continue. Over the next few days several soldiers recorded seeing mysterious visions. One young officer told Mabel Collins, the author of The Crucible (1915): "I had the most amazing hallucinations marching at night, so I was fast asleep, I think. Everyone was reeling about the road and seeing things.... I saw all sorts of things, enormous men walking towards me and lights and chairs and things in the road." The Daily Mail reported that an unnamed Lieutenant-Colonel had told the newspaper: "On the night of the 27th August I was riding along in the column with two other officers. We had been talking and doing our best to keep from falling asleep on our horses. As we rode along I became conscious of the fact that, in the fields on both sides of the road along which we were marching, I could see a very large body of horsemen. These horsemen had the appearance of squadrons of cavalry, and they seemed to be riding across the fields and going in the same direction as we were going, and keeping level with us. I did not say a word about it at first, but I watched them for about 20 minutes. The other two officers had stopped talking. At last one of them asked me if I saw anything in the fields. I told them what I had seen. The third officer then confessed that he too had been watching these horsemen for the last 20 minutes. So convinced were we that they were real cavalry that, at the next halt, one of the officers took a party of men out to reconnoitre, and found no-one there. The night grew darker, and we saw no more." Lance-Corporal Johnstone, wrote a letter to The London Evening News explaining what he saw on the retreat from Le Cateau. "We had almost reached the end of the retreat, and after marching a whole day and night with but one half-hour's rest in between, we found ourselves in the outskirts of Langy, near Paris, just at dawn, and as the day broke we saw in front of us large bodies of cavalry, all formed up into squadrons - fine, big men, on massive chargers. I remember turning to my chums in the ranks and saying: Thank God! We are not far off Paris now. Look at the French cavalry. They, too, saw them quite plainly, but on getting closer, to our surprise the horsemen vanished and gave place to banks of white mist, with clumps of trees and bushes dimly showing through." On 5th September, 1914, Brigadier-General John Charteris, the Chief Intelligence Officer at GHQ, reported that one particular vision, the Angel of Mons, was spreading "through the 2nd Corps, of how the angel of the Lord on the traditional white horse, and clad all in white with flaming sword, faced the advancing Germans at Mons and forbade their further progress." This story also appeared in the All Saints Parish Magazine in Clifton in May 1915. It was reported that two junior officers told Sarah Marrable about what they saw on the retreat from Mons. "Both of whom had themselves seen the angels who saved our left wing from the Germans when they came right upon them during the retreat from Mons... One of Miss Marrable's friends, who was not a religious man, told her that he saw a troop of angels between us and the enemy. He has been a changed man ever since. The other man... and his company were retreating, they heard the German cavalry tearing after them... They therefore turned round and faced the enemy, expecting nothing but instant death, when to their wonder they saw, between them and the enemy, a whole troop of angels. The German horses turned round terrified and regularly stampeded. The men tugged at their bridles, while the poor beasts tore away in every direction." It has been argued in The Angel of Mons: Phantom Soldiers and Ghostly Guardians (2005) that the Angel of Mons myth probably came from a ghost story, The Bowman, written by Arthur Machen, that was published in The Evening News on 29th September 1914. The following year, the story appeared in a book that sold 100,000 copies. Machen later expressed regret that the myth had grown up around his work of fiction and pointed out that the word angels did not appear in the story. 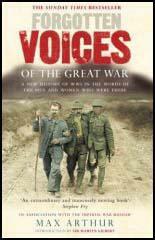 As James Hayward has pointed out in his book, Myths and Legends of the First World War (2002): "Machen... blamed religious bodies for exploiting what he considered an unremarkable story, and concluded that any sightings of spectral hosts were explicable as mere hallucinations"
Private Frank Richards was with soldiers during the retreat who saw these visions just before they reached Paris. He later argued: "If any angels were seen on the retirement they were seen that night. March, march, for hour after hour, without a halt; we were now breaking into the fifth day of continuous marching with practically no sleep in between... But there was nothing there. Very nearly everyone was seeing things, we were all so dead beat." Even the soldiers who had seen the visions were aware that it was probably due to the exhaustion and stress of the retreat. Lance-Corporal Johnstone admitted in his letter to The London Evening News: "When I tell you that hardened soldiers who had been through many a campaign were marching quite mechanically along the road and babbling all sorts of nonsense in sheer delirium, you can well believe we were in a fit state to take a row of beanstalks for all the saints in the calendar." Brigadier-General John Charteris, who investigated the Angels of Mons story commented: "Men's nerves and imagination play weird pranks in these strenuous times." The Lieutenant-Colonel, interviewed in The Daily Mail also confessed that tiredness could have been a factor in seeing these ghosts: "Of course, we were all dog-tired and overtaxed, but it is an extraordinary thing that the same phenomenon should be witnessed by so many different people. I myself am absolutely convinced that I saw these horsemen, and I feel sure that they did not exist only in my imagination. I do not attempt to explain the mystery - I only state facts." Stories of ghosts and visions increased during the first poison gas attacks in 1915. One engineer serving on the front-line at Ypres later told an American clergyman from Massachusetts: "They looked out over No Man's Land and saw a strange grey cloud rolling towards them. When it struck, pandemonium broke out. Men dropped all around him and the trench was in an uproar. Then, he said, a strange thing happened. Out of the mist, walking across No Man's Land, came a figure. He seemed to be without special protection and he wore the uniform of the Royal Army Medical Corps (RAMC). The engineer remembered that the stranger spoke English with what seemed to be a French accent. On his belt the stranger from the poison cloud had a series of small hooks on which were suspended tin cups. In his hand he carried a bucket of what looked like water. As he slid down into the trench he began removing the cups, dipping them into the bucket and passing them out to the soldiers, telling them to drink quickly. The engineer was among those who received the potion. He said it was extremely salty, almost too salty to swallow. But all of the soldiers who were given the liquid did drink it, and not one of them suffered lasting effects from the gas. When the gas cloud had blown over and things calmed down the unusual visitor was not to be found. No explanation for his visit could be given by the Royal Medical Corps - but the fact remained that thousands of soldiers died or suffered lasting effects from that grim attack, but not a single soldier who took the cup from the stranger was among the casualties." Then there is the story of the "Angels of Mons" going strong through the 2nd Corps, of how the angel of the Lord on the traditional white horse, and clad all in white with flaming sword, faced the advancing Germans at Mons and forbade their further progress. Men's nerves and imagination play weird pranks in these strenuous times. All the same the angel at Mons interests me. I cannot find out how the legend arose. A young officer who had been in France in 1914 told me: "I had the most amazing hallucinations marching at night, so I was fast asleep, I think. Everyone was reeling about the road and seeing things . . . I saw all sorts of things, enormous men walking towards me and lights and chairs and things in the road." We came into action at dawn, and fought till dusk. We were heavily shelled by the German artillery during the day, and in common with the rest of the division had a bad time of it. Our division, however, retired in good order. We were on the march all night of the 26th, and on the 27th, with only about two hours' rest. The brigade to which I belonged was rearguard to the division, and during the 27th we were all absolutely worn out with fatigue - both bodily and mental fatigue. No doubt we also suffered to a certain extent from shock, but the retirement still continued in excellent order, and I feel sure that our mental faculties were still... in good working condition. I did not say a word about it at first, but I watched them for about 20 minutes. The other two officers had stopped talking. At last one of them asked me if I saw anything in the fields. I told them what I had seen. The third officer then confessed that he too had been watching these horsemen for the last 20 minutes. So convinced were we that they were real cavalry that, at the next halt, one of the officers took a party of men out to reconnoitre, and found no-one there. The night grew darker, and we saw no more. The same phenomenon was seen by many men in our column. Of course, we were all dog-tired and overtaxed, but it is an extraordinary thing that the same phenomenon should be witnessed by so many different people. I myself am absolutely convinced that I saw these horsemen, and I feel sure that they did not exist only in my imagination. I do not attempt to explain the mystery - I only state facts. We had almost reached the end of the retreat, and after marching a whole day and night with but one half-hour's rest in between, we found ourselves in the outskirts of Langy, near Paris, just at dawn, and as the day broke we saw in front of us large bodies of cavalry, all formed up into squadrons - fine, big men, on massive chargers. I remember turning to my chums in the ranks and saying: "Thank God! We are not far off Paris now. Look at the French cavalry." They, too, saw them quite plainly, but on getting closer, to our surprise the horsemen vanished and gave place to banks of white mist, with clumps of trees and bushes dimly showing through. When I tell you that hardened soldiers who had been through many a campaign were marching quite mechanically along the road and babbling all sorts of nonsense in sheer delirium, you can well believe we were in a fit state to take a row of beanstalks for all the saints in the calendar. Both of whom had themselves seen the angels who saved our left wing from the Germans when they came right upon them during the retreat from Mons... One of Miss Marrable's friends, who was not a religious man, told her that he saw a troop of angels between us and the enemy. He has been a changed man ever since. The other man... and his company were retreating, they heard the German cavalry tearing after them ... They therefore turned round and faced the enemy, expecting nothing but instant death, when to their wonder they saw, between them and the enemy, a whole troop of angels. The German horses turned round terrified and regularly stampeded. The men tugged at their bridles, while the poor beasts tore away in every direction. (7) An English engineer, who had been serving in the line at Ypres in August 1915, during one of the early German poison gas attacks. He told his story to an American clergyman from Massachusetts in 1956 and it eventually appeared in Fate Magazine in May 1968. They looked out over No Man's Land and saw a strange grey cloud rolling towards them. When it struck, pandemonium broke out. Men dropped all around him and the trench was in an uproar. Then, he said, a strange thing happened. Out of the mist, walking across No Man's Land, came a figure. He seemed to be without special protection and he wore the uniform of the Royal [Army] Medical Corps (RAMC). The engineer remembered that the stranger spoke English with what seemed to be a French accent. When the gas cloud had blown over and things calmed down the unusual visitor was not to be found. No explanation for his visit could be given by the Royal Medical Corps - but the fact remained that thousands of soldiers died or suffered lasting effects from that grim attack, but not a single soldier who took the cup from the stranger was among the casualties.